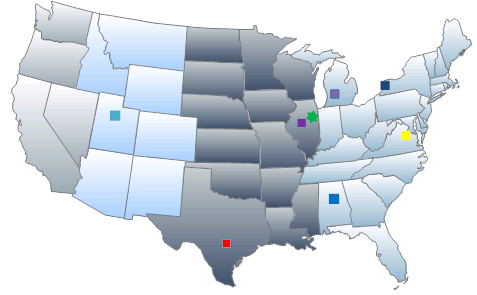 ATR was founded in 1992 and has expanded in the past 25 years to nine (9) locations throughout seven (7) states giving ATR a nationwide footprint for our customers. Whether your business operates from a single location or maintains multiple facilities nationwide, Advanced Technology Recycling (ATR) will focus on your asset management and recycling needs, enabling you to manage what is most important to you – your business. Our corporate headquarters as well as our Secure Destruction facility is located in Pontiac, IL. and we operate facilities in Peoria IL, Grand Rapids MI, Tonawanda NY, Richmond VA, Birmingham AL, San Antonio TX, and Tooele UT. These facilities are strategically placed throughout the United States to offer our customers nationwide customer service. Our site in Tonawanda NY. gives ATR coverage in the North and the Northeast part of the United States. The sites in Richmond VA and Birmingham AL provides coverage on the East Coast and the Southeastern part of the country. Our Corporate Headquarters along with the Peoria IL and Grand Rapids MI facility provide coverage for the Midwest. The San Antonio TX site covers the Southern part of the United states and provides assistance in the Southwest. Our newly relocated Salt Lake City, UT facility provides ATR with coverage in the NorthWestern United States. The Las Vegas facility will be opening January of 2019 and will manage the majority of materials from our West Coast customers and improve coverage to the Southern regions. Each of our nine (9) locations are R2, ISO and OHSAS Certified each year by an outside independent auditing body and can be verified on the SERI Website. Our certification status is a differentiator for ATR versus many of our competitors that will only certify one location and advertise that they are an R2 Recycling Company. Additionally all nine (9) locations are ITAR Registered and are on the GSA Schedule with the exception of the new Las Vegas, NV facility which will be completed by year end. With our national footprint that we have a full line of reverse logistics to offer to our customers. ATR owns and operates a fleet of 56 vehicles ranging from cargo vans to semi trucks and trailers. All of our vehicles are driven by ATR employees and each driver undergo considerable screenings, must maintain a clean driving record, and they are given annual reviews. 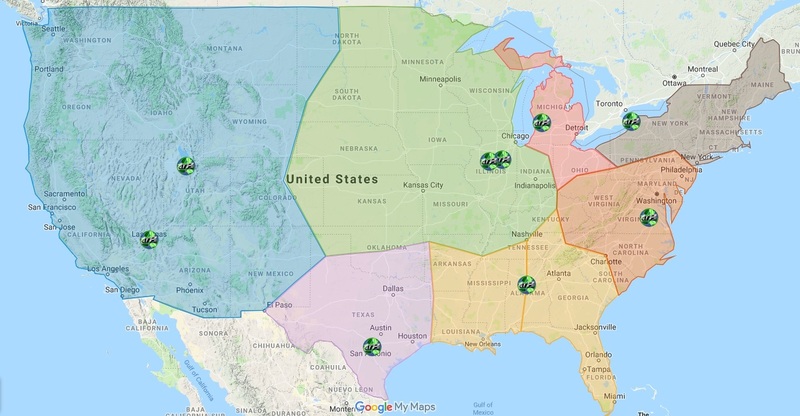 Each of our company owned vehicles are equipped with Geotab software, This software allows ATR to track our vehicles in real time, get alerts when any of our vehicles arrive or departs a customer location, perform diagnostics on our vehicles while they are in route, and it keeps the ATR drivers in compliance with the upcoming ELD mandate.